For cleaning all types of vehicle interiors. 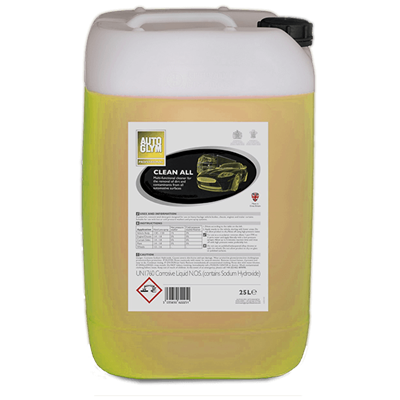 Equally effective on PVC, carpets, leather, synthetic fabric carpets, rubber mats, soiled paintwork, exterior plastics and as a general purpose cleaner. Apply with fine spray. Shampoo Vacuum equipment: Dilute 1:10 with warm water. FOR ALL SURFACES: Apply with fine spray. Agitate surface with a brush or hand sponge/cloth. Wipe clean with damp cloth, rinsing frequently in clean water. Shampoo Vacuum equipment: Dilute 1:10 with warm water. SHAMPOO VACUUM: Dilute 1:10 parts to warm water in detergent tank. ALWAYS colour test and pre test on cloth and upholstery before proceeding. Avoid rubbing leather surfaces. Wipe gently. 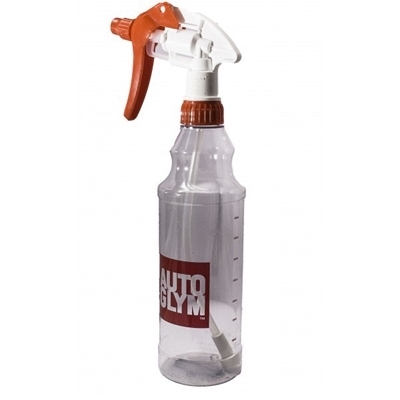 Autoglym Clean All 5ltr is an advanced multi-functional cleaner. High quality interior sponge. 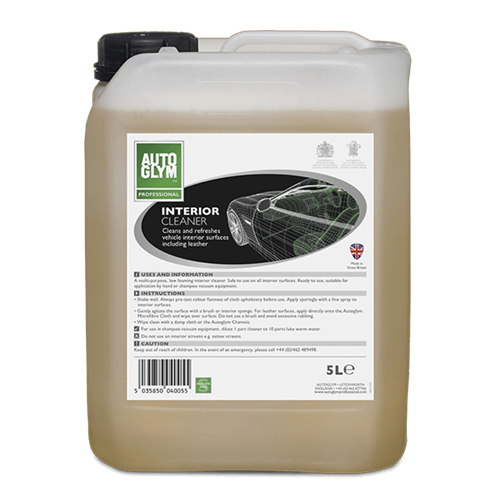 Ideal for cleaning all the upholstery within a car including vinyl,leather and carpets.